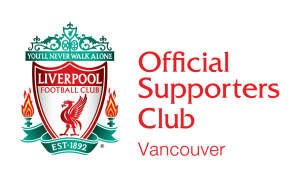 LFC Vancouver is a thriving group of around 200 Reds supporters, mostly based around the Lower Mainland, but some members live in the far-flung corners of the globe, having lived in British Columbia for some time, and then moved away for whatever reason. We have a very active community, and we meet for every Liverpool game that is broadcast at our home venue, the Butcher & Bullock pub on West Pender, downtown Vancouver. Like most clubs these days, we also have active an active community on facebook, and we are on Twitter.